These days it can seem like every other video game is a sequel. Everyone loves sequels, right? They're familiar, they let game-makers perfect their formulas and expand the worlds they've created. But a few developers still make mostly new games. Case in point: Tim Schafer's Double Fine productions. Of the fifteen games the studio either made or has in development, only one is a sequel. And even that game—Kinect Party, the follow-up to Happy Action Theater—barely qualifies. Fans love Double Fine's games, and surely it'd be much easier to make a sequel than it is to crank out new, untested games all the time. 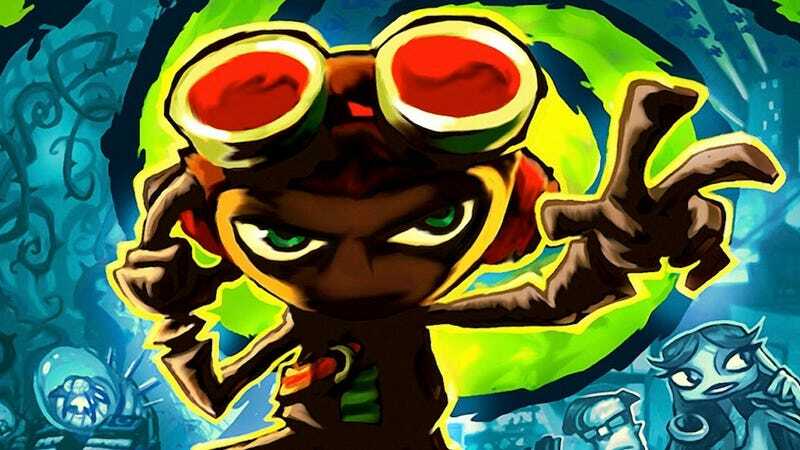 Why hasn't Double Fine made any sequels? During a recent visit to their San Francisco studio to talk about Kickstarter and check out their upcoming adventure game Broken Age, I asked Schafer what the story was. "Honestly, currently the only reason we haven't done a sequel is we always have some other idea that we want to do," Schafer said. "They wanted me to do a sequel for Full Throttle at [Lucasarts] but I had the idea for Grim [Fandango], and if I'd made the sequel for Full Throttle I wouldn't have made Grim, and so on and so on." The constant pursuit of new ideas is a luxury that Double Fine, a mid-sized, independent studio that makes its own creative decisions, can enjoy. Publisher-controlled studios tend to chase the sequel dragon much more deliberately, and any new ideas they have are pitched partly based on their "franchise potential." Given the state of the industry, this approach is pragmatic: If a video game publisher sees ten or fifteen years' worth of games in a single idea, they're much more likely to bankroll the people making it, who in turn can keep their jobs. Recently, Bethesda's Pete Hines said that Arkane's terrific Bethesda-published stealth game Dishonored had birthed a franchise, meaning we'll likely get more of those games down the road. I mentioned that recent example and asked Schafer: Does Double Fine ever aim for that kind of thing? "When we have a game that's as successful as Dishonored, and makes that much money, we… probably would do a sequel." Schafer laughed. "I would like to have a chance [to make a sequel] someday," he said. "Every one of our games is like, 'Oh, now I see how to make that game correctly. Oh, I have a lot of ideas of how to make those mechanics better,' or whatever. So I'd love to get that chance to do that. And there's certain games that keep popping up, like Costume Quest. There's an automatic reminder about Costume Quest every year called Halloween, which makes me think about making a sequel to that game every year." Broken Age producer Greg Rice chimed in. "Making a new game is hard, there's so many questions you're answering; when you go into a sequel you've already answered a lot of those," he said. "It's kind of just building out more content. But we like taking on new, creative art tasks." Schafer says that the likelihood of a Double Fine sequel has increased significantly since his studio adjusted their approach to allow for the simultaneous development of multiple smaller games. That change, fittingly, happened when they had to adapt to survive after publisher Electronic Arts passed on having Double Fine make a sequel to Brütal Legend in 2008. This could have been a ruinous turn of events, but Schafer responded by splitting the studio into four teams and pitching and selling their Amnesia Fortnight game concepts—Stacking, Costume Quest, Iron Brigade and Once Upon a Monster. It worked, and Double Fine was saved. "I have ideas for [all of our games] to be sequels," Schafer said. "But also, we've structured our company differently to make it more likely that we could do a sequel now, because we have more teams. When it was just me, and it was one game after another, you're making a sequel at the expense of something else. But now we could have a team make a sequel to one of our games while another team was working on a new property. "If you look at the last Amnesia Fortnight," he continued, referring to the studio's second, 2012 pass at the Fortnight idea, "most of the games pitched were not genres we'd done before. There's something about our company where we like to try new things." I mentioned the fact that fans so regularly ask Schafer about a sequel to his much-loved adventure/platformer Psychonauts that the question is immortalized as a joke on the company's FAQ. "I don't think there's any game I've ever made that [fans] don't ask that," he said, "and I see that as a great compliment, as a great, humbling thing. "If someone wants you to make a sequel, that means you did your job, that they want more. But it doesn't necessarily mean that's the thing they really want. They really maybe want a new game. They [just] don't know it until you make that game, and that's their favorite game."